Colour is a vital aspect when it comes to designing homes. It accounts for 60% of our response to an object or a place. In our previous blog, we discussed how to set the right emotion or mood in your living space with the right colours. Knowing the colour principles to choose the perfect colour permutation for your home, and the relationship between the colour and mood, can help you strategically select colours for your interiors. Here are a few tips that will help you arrive at a great colour scheme. 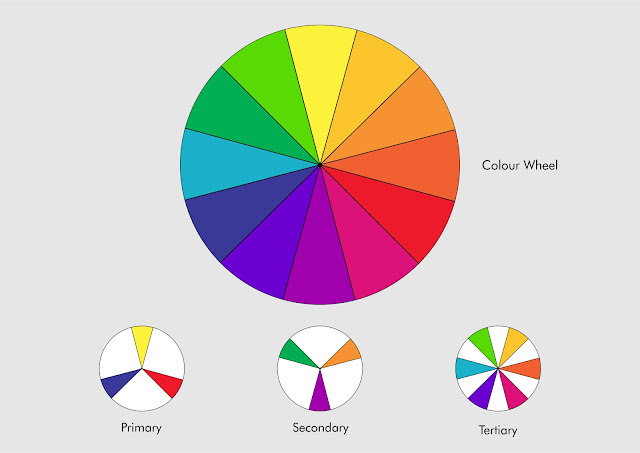 The colour wheel is a basic tool for decorating. There are mainly three colour categories: primary, secondary and tertiary colours. Primary colours are red, blue and yellow. Combining these colours will give you black. They are pure colours and cannot be created by mixing other colours. Secondary colours are orange, green and purple. When two equal parts of primary colours are combined you get secondary colours. For instance, green is the result of mixing equal parts of yellow and blue, orange is the result of mixing yellow and red, and purple is the result of blue and red. Tertiary colours are created by mixing one primary colour with one adjacent secondary colour to create different hues, making the primary and secondary colours appear less vivid. The resulting colours are yellow-green, blue-green, blue-violet, red-violet, red-orange and yellow-orange. White and black are often added to darken and soften these hues. Use your colour wheel to help you create your own colour scheme that best fits your personality. Below are the possible colour schemes. Monochromatic: This scheme uses the tone of the same colour as well as an addition of light or dark tone to lighten or darken the colour. It's simply one colour in varying intensities from light to dark. Monochromatic schemes are more peaceful as a rule, as the eye can move easily around the room without interruption by other colours. For instance, this scheme pink can become a baby pink or a dark raspberry pink and all three hues of the same shade are used to create this effect. Create bold or subtle variations within one colour group, if you feel one colour is boring. Analogous: This scheme uses two or more colours in a row that are juxtaposed to each other on the colour wheel. For example yellow will be used with green or orange, or blue will be used with green or purple. This means one primary colour and two supporting colours being a secondary or a tertiary colour on either side of the main colour. This creates a colourful and often soothing palette. Analogues are harmonizing and best used in casual or informal areas of the house. Contrast: The contrast scheme is more dramatic. The contrasting colours used could be yellow-orange, green-blue and red-purple. This introduces more colour and energy into your home’s palette. When choosing your colour palette you may want to start with contrasts such as dark colour paired with light. This gives balance and it is the key to setting the right mood to your space. A high-contrast space appears clearer and more highly defined than a space that incorporates low contrasts. So think about how you want to use high contrast to enhance the formality of a room and low contrast to introduce soothing qualities. Complementary: These colours are directly opposite each other on the colour wheel. Here two opposing colours, such as red and green, blue and yellow, or purple and orange are used together to create a dramatic, bold and high energy colour scheme. Each pair of colours complements each other and produces a neutral colour. It is a more energetic and lively colour scheme, because it is all about contrast. If you are creating a complementary colour palette, then your accent colour should be a complementary colour (opposite on the colour wheel) to either your bold colour or your second colour. For example, if your bold colour is blue and your second colour is green, your complementary accent could be orange or red (the respective compliments of blue and green). You may use just one or two colours throughout the house, and then mix it up with other accent colours. However take into consideration and understand that different rooms have different personalities. Triadic colour scheme: It is created using three equally spaced colours on the colour wheel that forms an equilateral triangle. Colours like red, yellow, and blue; and orange, green, and violet form a triad colour scheme on the wheel. Triadic palettes are particularly vibrant and energetic, due to the immense diversity in hues. Neutral colour schemes: These are generally found relaxing. Neutral colours are a reliable decorating tool, providing welcome visual breaks, versatility, excellent backdrops and soothing moods, depending on how you treat them. Neutral colours include black, white, gray, and sometimes brown and beige. For instance, grey can also be calming–a perfect hue for uniting a range of decor choices in large and small spaces alike. A turquoise vase or a yellow table setting will keep the room neutral, but add whimsy and visual interest. If you have a lot of bright colours, adding in neutral will help break them up and balance it out. You can also use them to help lighten or tone down the room. Start with a neutral scheme, and use colourful accents to make it fun. If you prefer a crisp neutral palette in your space, keep your furnishings neutral and add a pop of colour in your décor. Neutral colour is the key to perfect balance, allowing a space to blend perfectly with its surrounding. Lighter shades allow better versatility concerning accessories and furniture. Even curtains of different colours or patterns can easily blend well. Any colour that brings balance to your two bold colours can be your neutral. Don't just think white or beige. 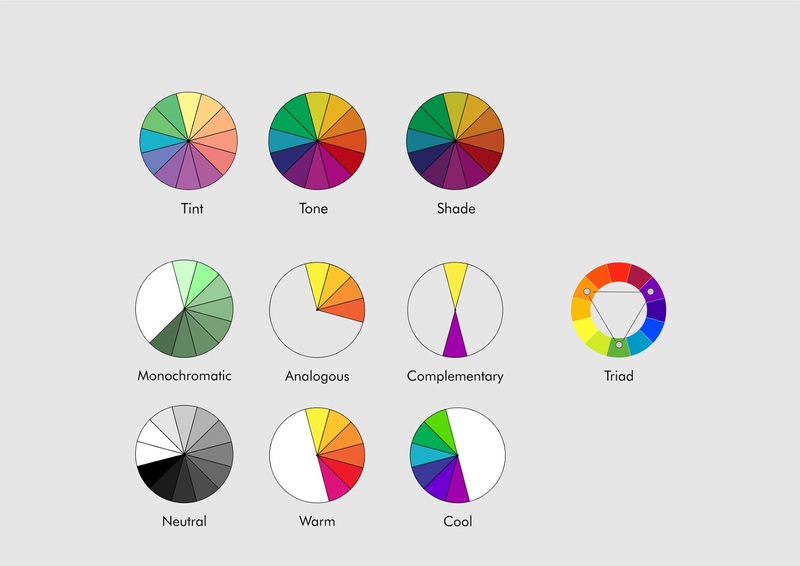 The colour wheel is a simple tool that’s used to discover and coordinate colour harmonies. The colour circle can be divided into warm and cool colours. Warm colours: colours such as yellow, orange, red on the colour wheel tend to raise your energy and intensity levels, room temperature, and make your home look welcoming. Use warm colours in your designs to reflect passion, happiness, enthusiasm, and energy. Cool colours: colours such as blue, green or pastel colours on the colour wheel calms you down physiologically or psychological. They give a fresh, relaxing touch to a room. If cool colours make you feel good, check out these refreshing rooms for decorating inspiration: Use cool colours in your designs to give a sense of calm or professionalism. To know which colour works well together, you need to know the three dimensions of the colour on the wheel and the terminology used to describe each colour. Hue is mainly the original colour or pure spectrum of colour on the wheel and is synonymous to colour. The value of the hue is how light or dark it is or how intense, dominating or saturated it is. This hue is divided in 3 ranges like tint, shade and tone. Tint is the result of adding white. Shade is the result of adding black. Tone is the result of adding grey. READ ABOUT SIMPLE COLOUR PRINCIPLES TO GET A PERFECT INTERIOR COLOUR SCHEME (PART -2) HERE.